Claim a free iGrill 3 worth €120 with the purchase of any Weber Genesis Barbecue or Spirit II model. The Weber iGrill 3 is your answer to perfectly cooked food, every time, and mounts directly onto your Genesis II or Spirit II gas barbecue. 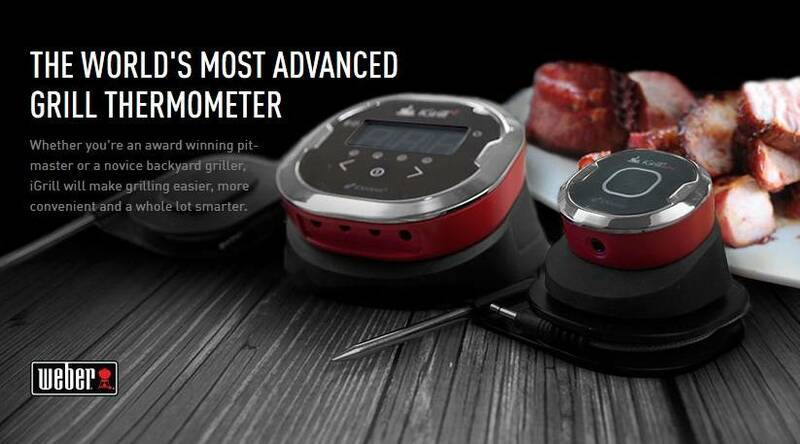 This app-connected thermometer allows you to monitor the readiness of up to four cuts of meat, from beginning to end, and notifies you on your smart device once food has reached the perfect temperature to serve. Please contact in-store for more details.